TX One Source, established in March 2012, is a government procurement solutions company focused on successfully assisting vendors navigate the cumbersome governmental procurement process and developing new business relationships. Our people have the expertise, dedication, and passion for their work that can provide our clients with the best services to enable them to generate growth. The principal and partners are former State of Texas and Technology executives with highly focused experience in working in State government and contracting for State services. Dan Contreras has twenty-three years of experience in State Agency program administration, including fourteen years in executive management of statewide programs. As the Director of the Department of Information Resources Information Communication Technology Cooperative Contracts program, Mr. Contreras was responsible for more than 3,400 contracts that generated more than $7 billion in sales and $1 billion in savings over a five year period. Under his leadership, he implemented policies and practices that resulted in program growth of 100% to $1.6 billion in sales per year and increased cost savings 300% to $265 million per year. Dan Contreras also served as the Executive Director of the Council on Competitive Government, implementing managed competitions, outsourcing, process reengineering, and public/private partnerships to improve efficiency and save $100 million. Mr. Contreras also held positions as the Deputy Executive Director of the Texas Building and Procurement Commission and the Associate Director of the Texas Incentive and Productivity Commission. Roy Mata has 20+ years of Information Technology, Wireless Communications, Telecom and Business Operations Management experience at an Executive level in the Government and Corporate sectors. Specializing in Government Relations, Business Development and Procurement Strategies. Roy has cultivated a large network of relationships within government and corporate sectors to assist clients and partners in their Business Development/Relationship efforts. 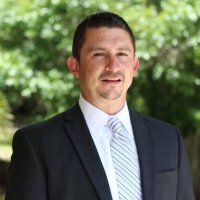 Roy founded Texas Government Solutions in 2005, a Government Relations and Business Development consulting firm, specializing in assisting clients develop or increase State and Local business while building long term relationships. As a HUB specialist, he also assists HUB clients maximize their business through direct HUB business with government agencies and by creating strategic partnerships with prime vendors supporting large government contracts. 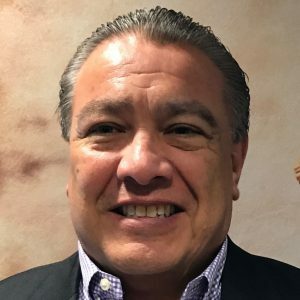 His clients range from small to large companies, including, Xerox, ACS, Motorola, Morpho Trak, and large HUBs Genesis Networks and Netsync Networks Solutions. 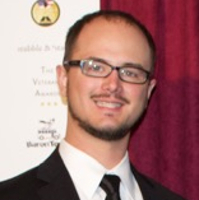 Robert Wagner forged his experience in information systems technologies through engineering systems that serve the Warfighters of the United States Army. With over ten years of systems engineering and software development experience for the Department of Defense and for State of Texas Agencies, he brings a deeply technical perspective as a consultant to TX One Source’s clients. Interested in seeing what we can do for you? Take a moment and contact us at 512-965-8700 or dan.contreras@txonesource.com to start a conversation about your goals and aspirations.